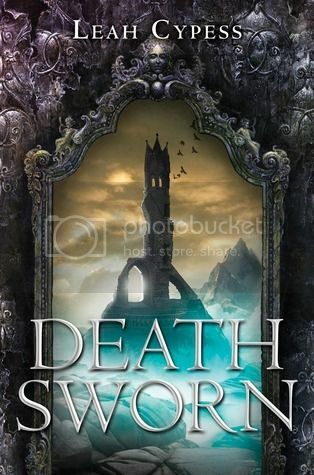 I really didn’t know what to expect when I started reading Death Sworn, but the story that I got was extremely fascinating and very unique as well. I really can’t compare it to any other book that I read recently, and I found it to be quite a refreshing read. Ileni is a sorceress that has lost not only her magic, but everything that is dear to her as well. She is exiled from her home, and sent to be a tutor to a group of secret assassins -- young men that would kill her if they knew the secret about her lack of magic. What she discovers in this underground world with her new students may just change the future forever, not only for her, but for everyone as well. Ileni was a very interesting character. She was a very strong, determined young lady. She wasn’t about to let anyone stand in her way of what she was sent to do. Not even the boy that she was falling in love with. She has her own set of beliefs and she sticks with them. I always find that very admirable in a main character. Sorin is another very headstrong character. Even though he questions them sometimes, he has his own beliefs that he will never sway from. I really enjoyed that the relationship between Ileni and Sorin is one that grew over time, and at a slow pace. The secondary characters were interesting and mysterious; I hope that we get more info on them in the next book. The world-building for this book was so unique. Who would have thought that an underground world could be so creative? The author did a great job of describing this world, and I had no problem visualizing it in my mind. It was very dark and mysterious, just the way one would expect in this world. The storyline was very creative as well. I really can’t think of a book at the moment that I could even compare this book to. I’m really looking forward to reading the next book in the series when it is released. There were a lot of questions that were unanswered for me at the end of the book, and I hope that those questions get answered in the next book. Overall; I found this book to be a very enjoyable read. If you like reading great stories set in interesting worlds with really strong characters; I definitely suggest that you check this book out. I'm definitely intrigued by this one. I want to meet the assassins and read about their underground hideout!